This is a beautiful lite bungalow by the sea, with a magnificent view of the sea. Beautiful spacious apartment, very clean, well presented and fully equipped with everything you could need to make this a sunny 😎 home from home. The location is lovely and the sea can be seen and heard from all rooms. Only seconds from the nearest beach. This is a wonderful apartment in a lovely relaxing position. The apartment is modern, stylish and very well equipped. 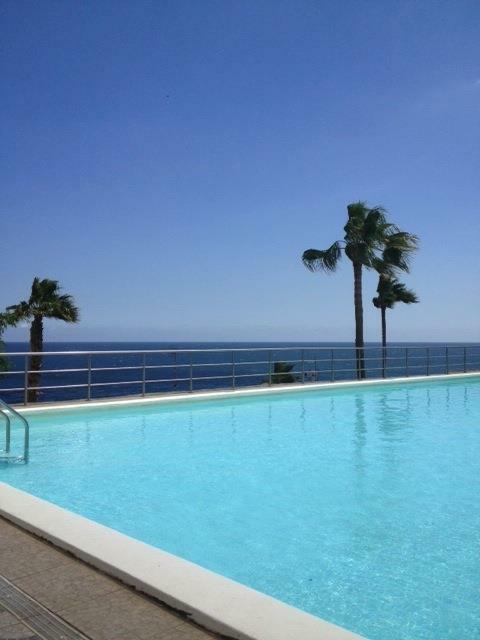 The complex pool is a good size for lengths swimming, and the beach/sea literally on your doorstep. The owner was really helpful on arrival with a welcome tour of the property. We had a great quiet and relaxed holiday which was just what we wanted. This property was great. It was clean and modern. Right by the sea. Just the sound of the waves crashing. Theirs a great little shop up the hill,so cheap for all you day to day things. If you want to relax this is the place to go. This property was perfect for what we wanted - an early break in the sun, not too far to travel and easy to get to. The bungalow was bigger than I expected with a really nice large airy bedroom which another owner might have been tempted to make into two small rooms. There was a lot of facilities for guests, from beach towels to foam mats for those guests who might want to spend time on the quite rocky beach. There were people walking past the front of the villa but it was mainly other residents getting to and from their properties although I can see that it could be quite busy in peak season. Loved the large bathroom and the walk in shower - it was perfect for us although a couple of minor snags with TV and water heater were an irritant rather than something that spoiled our holiday and something which I am sure the owner will be putting quickly right. Highly recommend the Bamira Restaurant just outside complex - upstairs terrace for informal dining and an amazing gourmet experience downstairs with lovely welcoming staff.